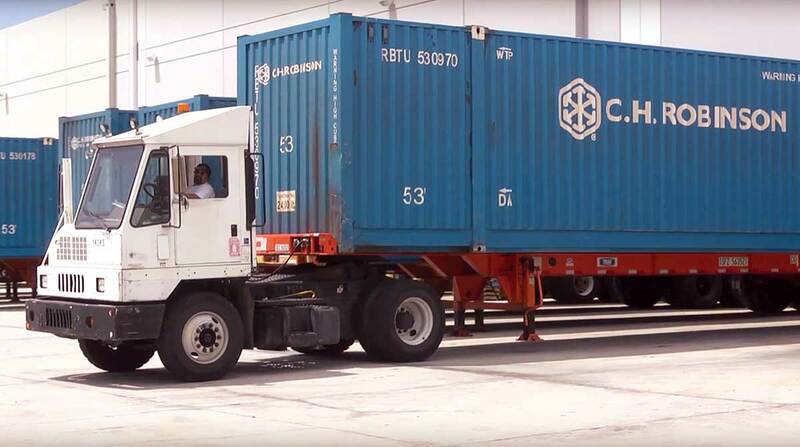 Freight brokerage and logistics services provider C.H. Robinson Worldwide reported sharply higher profits and double-digit growth in net revenue in the three months ended June 30. The combination of lower corporate taxes and strong performance boosted operating cash flow by nearly 90% and increased returns to shareholders by nearly 30% in the quarter, Wiehoff noted. C.H. Robinson ranks No. 4 on the Transport Topics Top 50 list of largest logistics companies in North America. The company reported net income of $159.2 million, or $1.13 a share, on gross revenue of $4.3 billion in the second quarter. That compares with net income of $111.1 million, or 78 cents a share, on gross revenue of $3.7 billion in the same period a year ago. Net revenue, which is the money left after subtracting the cost of purchased transportation, grew 17% to $671.5 million in the most recent quarter from $573.8 million in the same period a year ago. For the first six months of the year, net income rose nearly 30% to $301.5 million, or $2.14 a share, net revenue increased 13.6% to $1.3 billion and gross revenue was up 15.1% to $8.2 billion. The company’s North American surface transportation business was especially strong in the quarter as more shippers turned to the spot market to find freight-hauling capacity. Net revenue from truckload shipments rose 22.9% in the second quarter compared with a year ago, less-than-truckload net revenue increased 17.8% and intermodal net revenue was up 17.3%, the company reported. Truckload rates increased about 20.5% in the quarter, while truckload transportation costs rose 19.5%, resulting in higher gross profit margins. Results from global forwarding operations also were positive with net revenue from ocean and airfreight forwarding increasing 18.5% and 17.4%, respectively. Customs brokerage revenue surged 27.5% in the quarter, helped by the acquisition of Milgram & Co. in August 2017. The only downside for C.H. Robinson was a decline in business for Robinson Fresh, a business that sources fresh produce for grocery and food service customers. Net revenue fell 8.7% to $55.5 million and case volumes declined 6%, driven by lower levels of customer promotion activity and higher purchased transportation costs, the company reported. Wiehoff said he expects current freight market conditions to persist for the remainder of the year. “With a healthy economy, demand for freight will remain strong,” he said. In response to questions from investment analysts, Wiehoff said the company is “closely monitoring” moves by the Trump administration to impose tariffs on imported goods, which could lead to a slowdown in trade and a drop in shipments. Current tariffs have had no impact on business so far, he said. Regarding truck capacity, Chief Operating Officer Robert Biesterfeld said he sees little evidence that new electronic logging requirements for truck drivers has led to a decline in the number of drivers available to haul freight. “We added 4,400 new carriers in the second quarter, and they hauled 19,000 shipments,” Biesterfeld said. Where the impact of ELDs has been felt most is in the refrigerated sector and in certain traffic lanes where tighter limits on hours of operation have restricted the distance drivers can cover. And despite robust new truck orders, Biesterfeld said he sees no major expansion of truck capacity due to constraints on the overall number of drivers available.